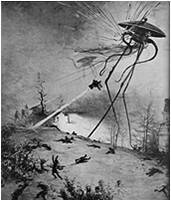 The 1950’s was the great golden age of Alien Invader movies and one particular Sci-Fi invasion thriller has had quiet the media legacy, I’m of cores talking about “War of the Worlds”. So let’s rewind back before the 1950’s and see just how this simple story of invaders from Mars became such a worldwide phenomenon. 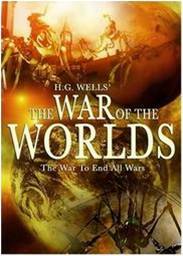 Our journey begins in 1898 with the novel “The War of the Worlds” by H. G. Welles. 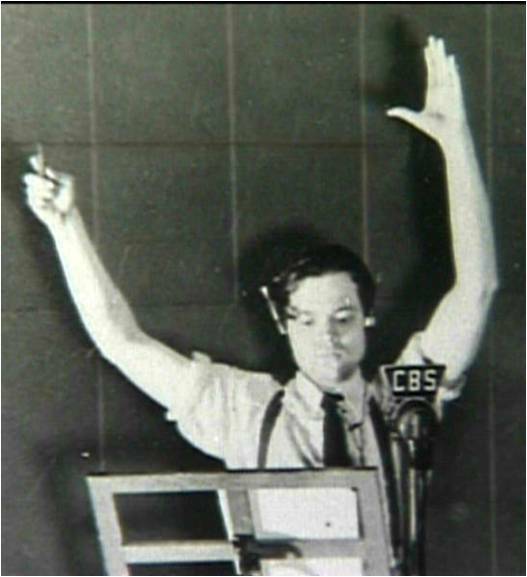 The thought of giant war machines coming down and blasting us with heat rays was an awesome and terrifying new concept, and H. G. Welles went on to become one of the most famous Science Fiction authors of all time, other great novel's if his include "The Time Machine" and "The Invisible Man". The novel itself has been documented as a classic book in literature, despite some criticism of the brutal nature of the events in the stories narrative. 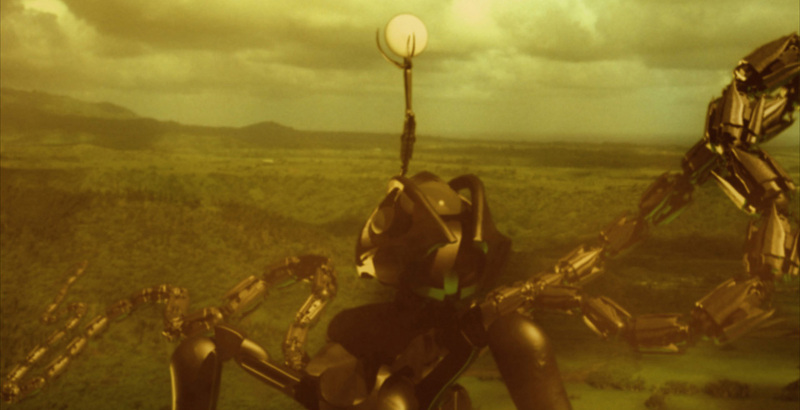 Rather than just a full alien attack, the book actually dives into some interpretations of Natural Selection, Social Darwinism, Colonialism, Imperialism, Human Evolution, Religion and Science. I’ve only read the book once but it’s still very memorable. 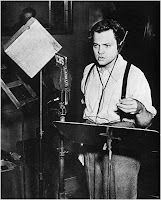 H. G. Welles wouldn’t be the last one in the family to win fame from this because years latter in 1938 “War of the Worlds” was produced as a radio drama under the direction and narration of Orson Welles, who would later become an actor, director, film maker and one of the most respected in the business, mostly for his beloved 1941 classic "Citizen Kane". “War of the Worlds” was an episode of the American radio drama anthology series called “The Mercury Theatre on the Air”. 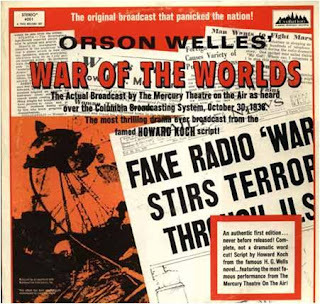 It was performed as a Halloween episode, however it was done in the style of a live news broadcast, so everyone who tuned in to listen to it thought it was all real and it caused mass hysteria. To this day, it’s been called one of the most famous radio broadcasts of all time. When I first started college, I was in a radio class that presented the full recording to us. I thought it was great but the rest of my fellow class members were bored to death, they just didn’t appreciate the novelty of something like this the same way I do. 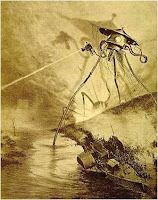 Now we’ve reached 1953 and the release of the classic movie, “The War of the Worlds”. I’ve seen countless great Science fiction films from this time period, and this still stands as one of my favorites. It makes a few changes from the book, most notably the alien hover ships instead of the tripods from the book. These ships are actually quite impressive for their time, as are the aliens themselves and the sound effects are incredible. I especially love the narration in the opening of the film about the stages of world wars and the planets in our solar system, it gives me chills every time. The film has a big reputation for being one of the greatest Sci-Fi’s of the time and there really is just this wonderful charm to the whole thing that makes it feel very timeless. If you manage to get passed the hammy performances and some obvious mistakes (wires seen holding up ships in some parts) then you may find this to be a really fun and classy Sci-Fi. 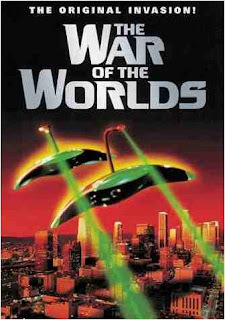 In 1988, there was “War of the Worlds” the TV series, it ran for two seasons and it plays like a direct sequel to the first film, even using the same alien space ships. The only difference is that the aliens in this show disguise themselves as humans and it was actually quiet violent for the time. I’m not going to go into much detail on this one because unlike everything else that I’ll mention on this list, I actually haven’t seen this show, so I can’t give it any personal preference. 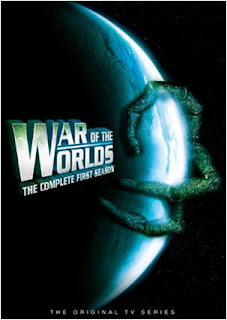 Now we fast forward a few years to June 2005, this would be a very strange and special month for “War of the Worlds”. Apparently this series was upset set for not getting acknowledged for over 13 years and retaliated by releasing not just one but three remakes all in the same month of this year, I swear I’m not making this up. Now while I’ve seen ever one of these remakes, I had no idea they all came out in the same month, so I had plenty of time to breath between all these films. Okay so June 14th 2005 is when the first remake of “The War of the Worlds” was released and it was a direct to video film. This rendition fallows the book almost word for word and setting for setting, as a result it’s over three hours long and trust me when I say, you’re better off just reading the book. 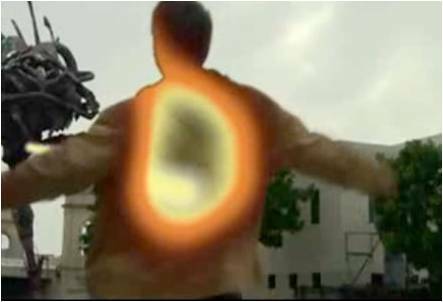 The film is full of obvious performances, terrible visual effects and it just drags on and on. So I say skip this one completely and watch the original or one of the other remakes. 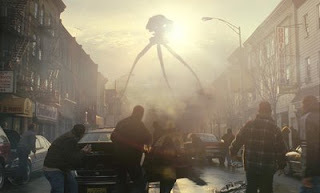 Then on June 28th 2005, the second remake of “War of the Worlds” was released and once again, it was direct to video. This was actually one of the very first renditions of the film I ever saw, even before I saw the 1953 classic but that doesn’t stand for much. To be fare, this film does have some decent performances and effects for a direct to video film and it’s the only film rendition to dive into the topic of religion. There are even some genuinely unsettling moments like this nightmare scene of a husband discovering a talking corpse of his wife. I also like how the alien war machines in this film are giant grab like robots, that’s kind of cool. 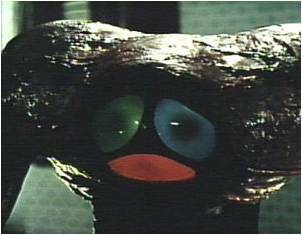 But other than that, the aliens themselves look like sock puppets and it’s a very basic and boring plot about this dad that’s trying to find his family in Washington. Overall, it’s so generic that it could have been given any other title, in fact it has an alternate title called “The Invasion”, why can’t we just call it that? 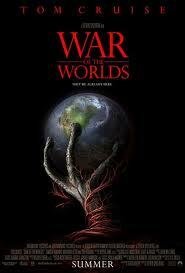 At last on June 29th 2005, there was the third and final “War of the Worlds” remake, this time released in theaters. It was directed Steven Spielberg, who’s become one of the great film legends of our time, mostly for his work on some of the biggest hit blockbusters like “Jaws”, “E.T. the Extra-Terrestrial”, “Close Encounters of the Third Kind”, “Jurassic Park” and the “Indiana Jones” series. 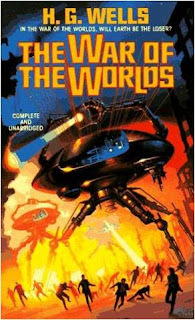 This was my first time feeling the thrill and paranoia of the novel and to this day it stands as one of my personal favorite remakes of a classic Sci-Fi. 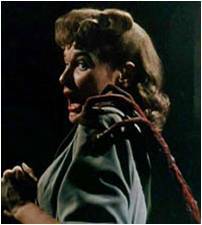 The cinematography and visual effects are all terrific by today’s standards and there is some very disturbing imagery. 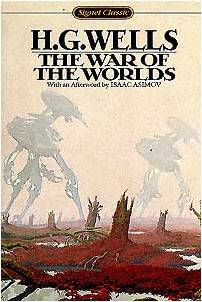 It uses the tripod war machines from the book and they look fantastic, but the aliens themselves are far cuter than they are scary. 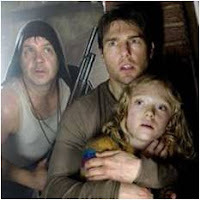 I’ll also admit that I could care less for Tom Cruise in the lead role but Dakota Fanning is fantastic as the child character and she delivers her usual solid performance. 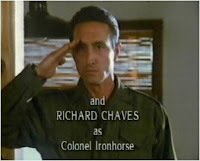 Most Alien invader movies like “Independence Day” are mostly spent with the military fighting off the invasion, however, I love that this films sole focus is just on an ordinary family and their struggle to stay alive and together in this crises. 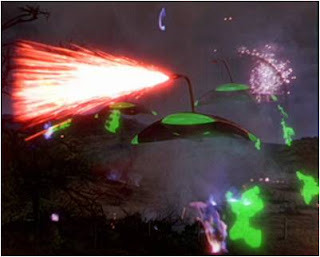 It makes the invasion all the more terrifying because you know so little of what’s actually going on and this film does a much better job showing peoples real human emotions to the crises. 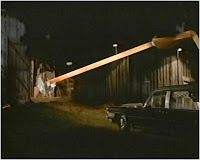 There are some problems, like that guy under the house but over all it makes for solid Sci-Fi entertainment. 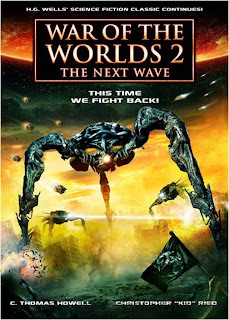 In 2008 the second “War of the Worlds” remake from June 2005 actually had a sequel titled “War of the Worlds 2: The Next Wave”, making this the first full length sequel to “War of the Worlds”, not including the TV series of the 1980’s. This film is slightly worse than its predecessor, and has even less to do with the source material. 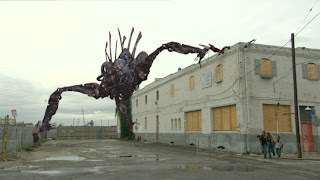 The Lead actor of the first film is back but the plot is completely different, instead of another invasion (like the title suggests) this film actually takes place on the alien space craft’s and our main characters are trapped in some kind of virtual reality simulation of a regular town from earth. 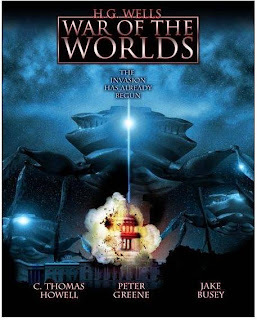 It’s just another film that could have been anything else other than another installment in the “War of the Worlds” library of films. 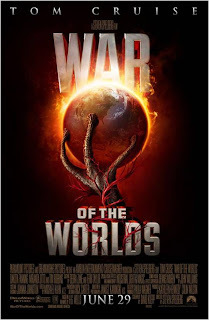 So this concludes my little trip though the history of “War of the Worlds”, hope it was interesting enough and for all you big Sci-Fi geeks like me, make sure you don’t miss out on your share of “War of the Worlds”, it’s practically where the genera all began.